The varied nature of this month’s selection made it difficult to order them, simply because they are all excellent in their own right. If I had to tie them together with a unifying theme, it would be this: these plugins will make your life easier. There are plugins here that will help you style and tweak your site. There are plugins that help with your SEO and security and there are plugins that will when added to your site will make it look great. I’ve no doubt that whatever you use your WordPress website for, you will find something in the selection this month that will improve it. Enjoy! This is a very useful and simple plugin for creating a custom maintenance mode page for your website whenever you need to carry out maintenance. 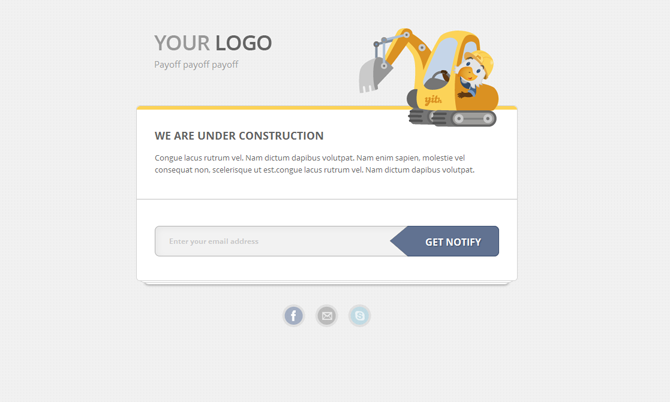 The plugin comes with multiple styles and you can also completely customize the page template it to match your current site design. 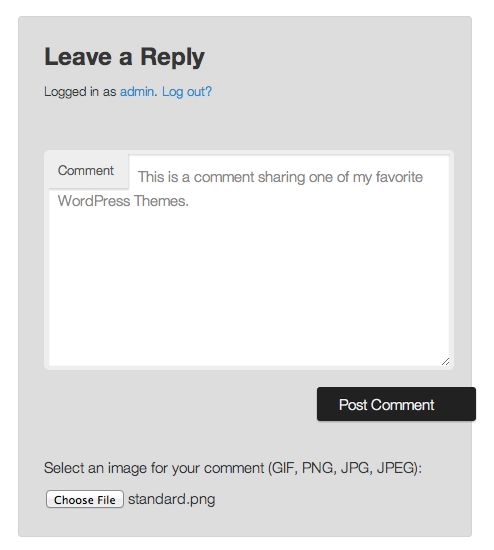 This plugin allows your readers to include an image in their comments on your site. The PNG, GIF, JPG, and JPEG image types are supported and all uploaded images can be styled to ensure they fit into your theme’s comment area. Comment Images is not compatible with JetPack, IntenseDebate, or Disqus comments. At the moment it will only work the default WordPress comments system, though development is underway to make it compatible with these other comments systems. Tweaking image border can be a problem if you aren’t comfortable editing CSS. This plugin takes all of the effort out of this making this style choice. It allows you to completely remove image borders with a single checkbox or customize them in multiple ways. This is an excellent plugin if you run a food blog or if you occasionally post recipes to your website. 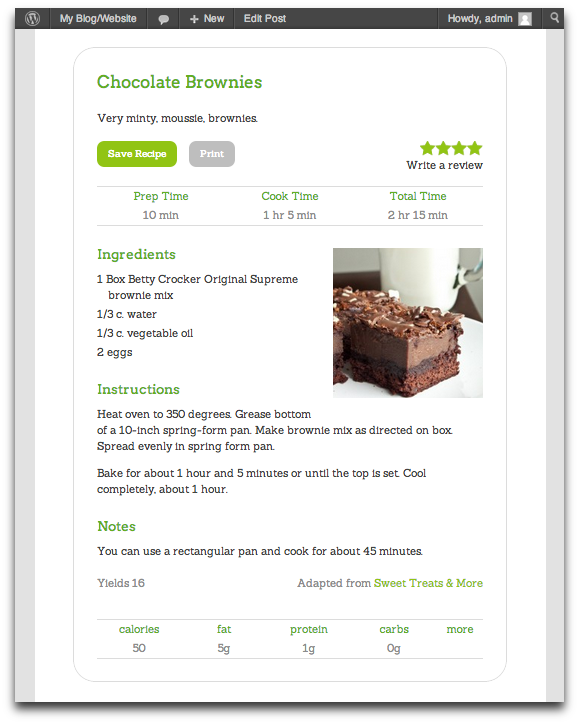 Recipe Card allows you to choose from a number of styles for your recipe and allows your readers to print, save, and review them. The plugin also automatically optimizes your recipe for search engines and produces a nutrition guide for each recipe you post. Rich Snippets allows you to completely customize your site snippets and add features into them to make them even more useful. It gives you the option to add photos, a rating system and other features. It also allows you to specify what is shown using different content types that helps to improve your SEO and search engine rankings. This is a simple lightweight plugin that allows you to add custom CSS to your site. The custom CSS overwrites both your theme and plugins style sheets and ensures that any CSS you add will be retained if you update your themes and plugins. The manner in which the CSS is written by this plugin will also ensure that these style settings are still active even if you change to a completely new theme. This plugin allows you to scan your website for malware and other vulnerabilities by using the Sucuri SiteCheck service. It can detect various types of malware, spam injections, website errors, site blacklisting, code anomalies and numerous other potential security issues. Sucuri Scanner alone won’t be enough to completely secure your website but with all of the features in uses it will go a very long way to keeping your site clean and safe. I highly recommend that you install this plugin. The default WordPress gallery has improved over the years but it still isn’t very flexible. 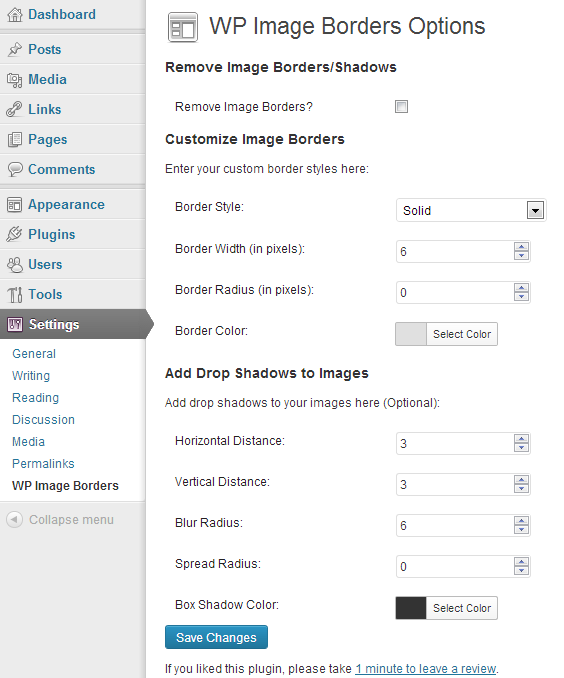 If you need to have more options for your image galleries then this is a great plugin for you. Easy Image Gallery allows you to add galleries to Posts and Pages using shortcodes and then displays a meta-box on the publishing screen. When the images are added to the gallery, the plugin allows you to re-order them and to have each image link to a larger version of itself. The plugin is compatible with a few LightBox scripts out of the box, and allows developers to add additional LightBox scripts with hooks and filters. The developer has supplied a handy tutorial to do this. OTW Portfolio Light is a very simple yet excellent portfolio plugin for anyone who needs to display a collection of their work. The plugin is responsive ensuring that your portfolio will look just as good on any screen size. Portfolios can be added to any post or page using a simple shortcode. Each item in your portfolio can be given a description that appears when you hover over it and will also be linked to an additional page on your site where you can add more details about the portfolio item. These pages can have multiple images added to them that will be displayed in a stylish image slider. The plugin comes with two distinct display styles. 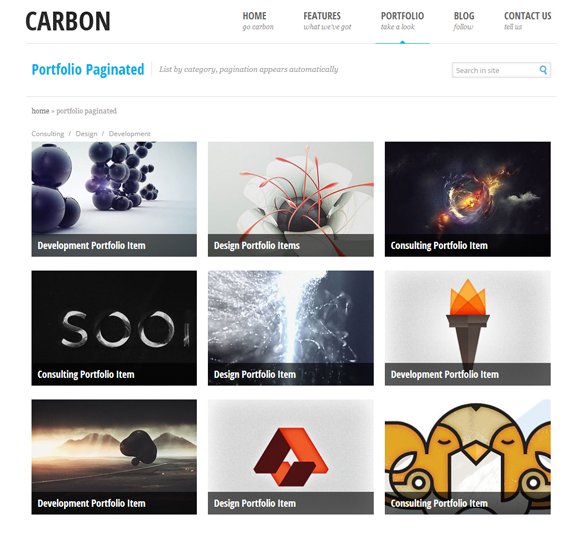 You can categorize and then filter your portfolio items on a single page, or you can use a paginated style that will allow a specified number of items before creating additional portfolio pages. This is a very simple plugin that can be used to make sure one or more widgets from your sidebar are always displayed on the page. This plugin is extremely useful for ensuring that important plugins are always in the eyeline of your readers. The brief video above shows you this plugin in action. An excellent example of this plugin being used could be to ensure that a widget to sign up for your newsletter is always at the top of the screen, regardless of how far down the page a reader scrolls. Alternatively, freelancers or companies could use the plugin to ensure a widget that contains details on hiring them is always displayed. It is an excellent plugin for those widgets you want your readers to take action on and displays them in a very simple and non-intrusive way that I really like. Native Apps, Web Apps or Hybrid AppsHow Make Your App Go Viral?